for the 35th Annual Deep River Triathlon. Our triathlon event is the most widely attended of all our events. The event allows for participants of all levels of experience to test their abilities. The course consists of a 750 meter swim, 27 km cycle and an 8 km run. Divisions are broken up into individual; male and female, as well as a team category. Champion Chip Timing is used. For more information regarding the 2018 Triathlon, visit Town Hall to pick up your Triathlon brochure. To register in person please use the registration sheet provided in the Triathlon brochure. Don't want to to compete? Come volunteer! We encourage everyone to come out whether your participating or cheering on your favorite team! 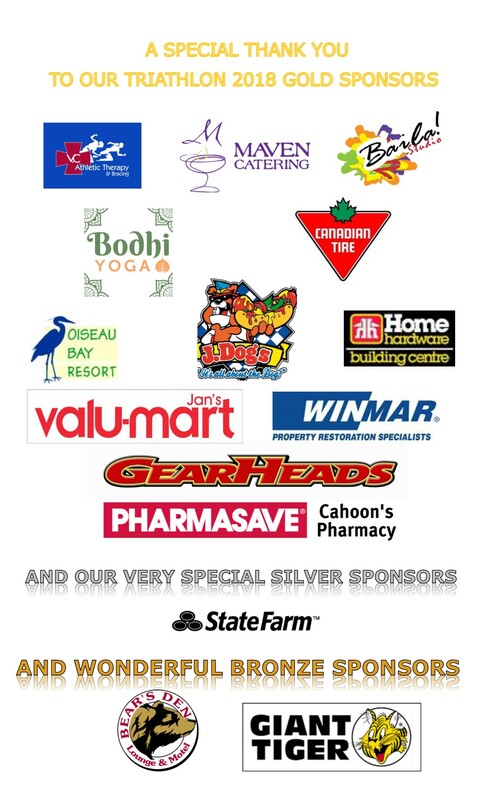 Check out our wonderful Triathlon Sponsors for this year!